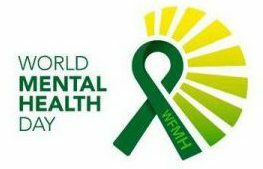 Did you know that today is World Mental Health Day? It is promoted by the World Health Organization (WHO) and is observed on October 10th every year. The objective of this day is to raise awareness about mental health issues globally and to mobilize efforts in support of mental health. The World Health Organization defines positive mental health as “a state of well-being in which every individual realizes his or her own potential, can cope with the normal stresses of life, can work productively and fruitfully, and is able to make a contribution to her or his community. Employees with good mental health will perform better in their work.” They also state that 25% of European citizens will experience a mental health problem during their life time and also estimates that by 2020 depression will become the second most important cause of disability in the world. Being mindful of mental health in the workplace will improve your focus, concentration and performance. Make the most of your breaks and take time away from your work-space. ✓Get outside for fresh air and invite some colleagues to come along with you. ✓ If flexible working is an option, use it and if not, see if it is something which could become an option in your workplace. Flexible working can be bought into the workplace smartly. A lot of people make the mistake of thinking the more time they spend in the office the more effective they are. ✓ For those who are new to a company, a mentoring scheme or buddy system can help them to settle in. These relationships can also enable colleagues to help each other outside the official management structure. ✓ Flexibility is no longer just a case of work/life balance: it’s also a matter of health. More than ever, employees are increasingly concerned about work-life balance and organisations which offer flexi time can often find increased levels of satisfaction among employees. Flexible working can allow employees the ability to adapt their ways of working to best suit their needs, while still being fully committed to their careers. Your working environment should be one that promotes mental well-being and reduces stress. Inflexible working arrangements starve employees of time both for themselves and their families, leading to stress. If you enjoy being in control of your own working environment, you might find that freelancing also offers you options you had not considered before. You can find out more here.